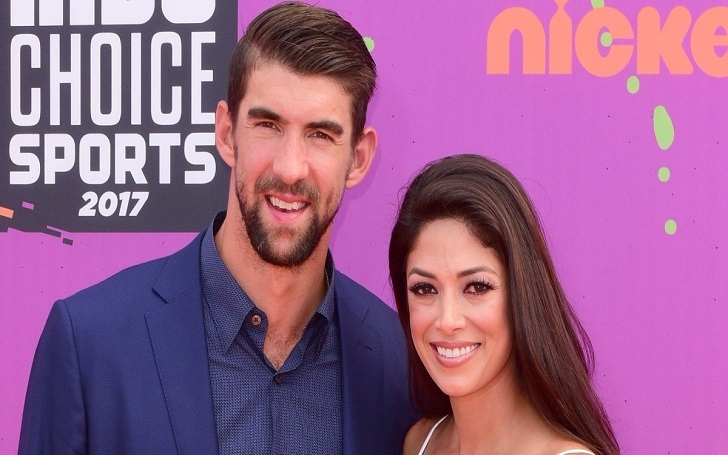 Baby on board for Michael Phelps and Nicole Johnson! The Olympian and his loving wife are that they are expecting their third child together. The Olympic swimmer, 33, took to Instagram on Sunday, March 31, to announce the pregnancy of his wife, with sharing a photo of their two children; sons Boomer, 2, and Beckett, 13 months, sitting in a toy car that was decorated with gold balloons with the word "BABY". The proud mom, 33, for her part, posted the same picture on her Instagram account to share the exciting news. She captioned the post, "Oops we did it again I get to be a mama x3!! #furbabymama x2 #p3 #herewegoagain." The 23-time gold medallist and Nicole became married secretly in June 2016 after dating on and off for eight years. They are doing really well. Booms is a great big brother and wants to help with whatever Nicole and I are doing with Beckett. We are eagerly waiting for the birth of the latest addition to the family.